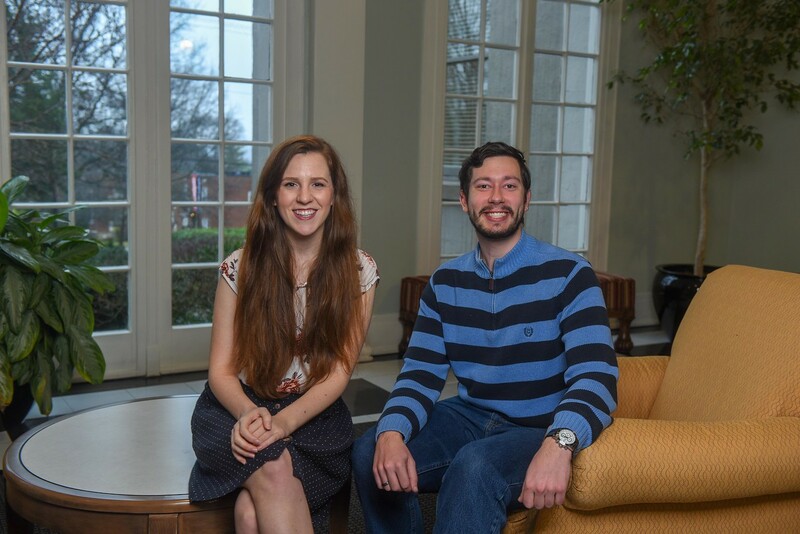 Sean Grossnickle and Maxine Bouldin will both be joining the Peace Corps in Moldova for 2019-21. From here to Moldova? That may be the perfect motto for senior Sean Grossnickle and 2017 alumna Maxine Bouldin, both of whom will be heading to the Eastern European nation in fall 2019 with the Peace Corps. Both described a selective application process for the Peace Corps, one that involved a written application, interview and extensive medical clearance. Bouldin and Grossnickle will each be serving as organizational development facilitators, but they don’t know yet their exact town or project assignments. Generally speaking, their positions will involve working with community institutions and nonprofit organizations to help develop their leadership and organizational capacity to better serve their communities. Departing this summer, their positions require three months of training that will involve language, job skill and safety education along with the other Moldova volunteers. Then Bouldin and Grossnickle will move to their assigned locations for a two-year service commitment. The positions can then be extended each year after the initial two for a maximum commitment of five years.